During one of the field visits under one of the projects on child rights being implemented by CUTS Centre for Human Development in Chittorgarh, the staff first met Udai Lal. Born in poor family in Samri, his mother had left her and married some other person. He and other two sisters were being brought up by their father when Udai started falling ill frequently. ON examination, he was diagnosed with heart valve failure and needed immediate surgery for valve replacement involving lot of money. The poor family could not afford it. His life was in danger. The fellow villagers approached their MLA, Shri Surendra Singh Jarawat who was kind enough to write a letter to SMS hospital, Jaipur for free treatment. This yielded positive result and in April 2011, an amount of Rs. 95,000 was sanctioned for his treatment under BPL Jeevan Raksha Fund. Being illiterate and unaware, his father could not get the treatment of Udai done and suffering from poverty and ignorance, Udai’s father passed away in April 2012. Being orphaned, Udai started living with his uncle, Prabhu Lal. CUTS staff at Chittorgarh then took the responsibility of the treatment of Udai with the support from Save the Children organisation and approached the district collector, Ravi Jain who wrote to the chief minister for funds under BPL Jeevan Raksha Fund. In June 2012, Mr. Jain also wrote to the Superintendent of SMS Hospital for Udai’s treatment. With a copy of this letter, CUTS staff, Kailash Vyas, approached Dr. R.M. Mathur at SMS hospital who checked the boy up but treatment could not be started. CUTS then approached the Mr. Deepak Kalra, Chairman of Child Protection committee and on his instructions, ADM contacted the SMS Hospital to start the treatment. However, in July, due to blood deficiency, the doctor could not operate upon Udai and asked him to come again after a month when his conditions improves. CUTS then approached State Child Rights Protection Commission and on their advice, Udai was shifted to Ashray Care Home in Jaipur. 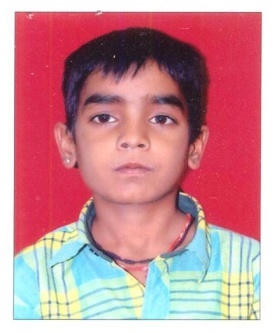 In the meantime, his uncle also left him in Jaipur and returned to Chittorgarh. But CUTS never left hope. On rigorous follow-up, Udai was operated upon on 18th October 2012 at SMS Hospital. The operation was successful and Udai got a new lease of life.